This is a rectangular Everpure Safe Water porcelain sign. 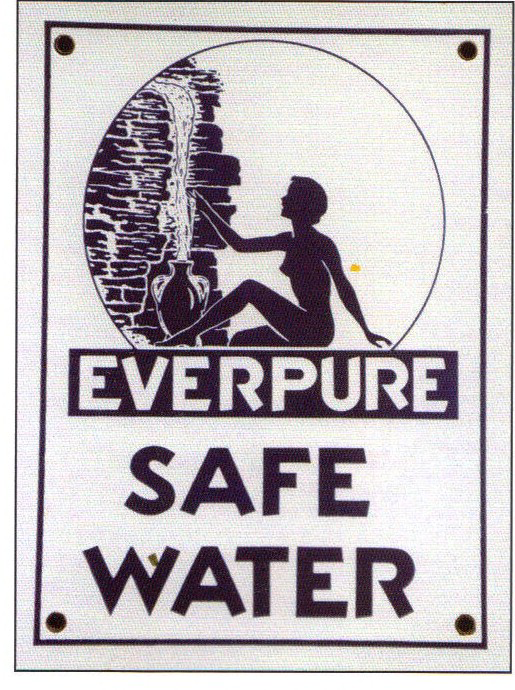 This particular Everpure Safe Water sign is white with blue print. It reads, “Everpure Safe Water” and features a young woman filling a container with from a waterfall.